A bright, cheery yellow door stands out from the surrounding buildings and eateries. Inside, the decor is tastefully done to reflect the cafe’s desserts, which are prepared with keen attention to detail. For a neighbourhood cafe, Non Entrée Desserts certainly packs a lot of surprises up its sleeve, and entering the space makes you feel right at home. Non Entrée Desserts changes its dessert theme every now and then, with the Singapore theme drawing in customers by the dozen. 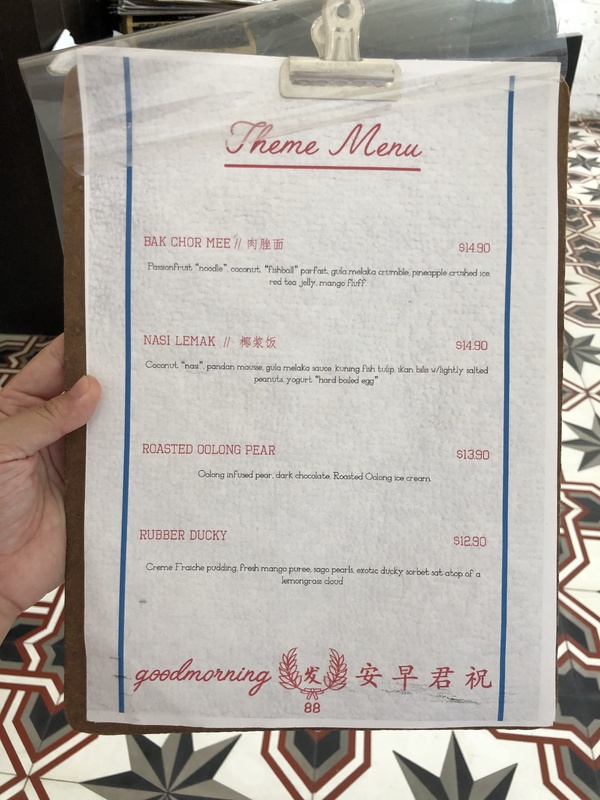 Aptly named creations like Nasi Lemak ($14.90+) and Bak Chor Mee ($14.90+) are the definition of art imitating real life, as each component is painstakingly created to not only mimic its counterpart visually but also come together in terms of taste. Be prepared to have your mind boggled when these savoury looking dishes yield sweet flavours! Still want to try a taste of Singapore without the mind boggling element? Take your pick from a selection of desserts made in the likeness of our traditional kuehs. The Rubber Ducky ($12.90+) is a playful take on our favourite childhood toy. Shaped with fresh mango purée and Creme Fraiche pudding, the ducky sorbet sits atop a bed of fragrant lemongrass foam and sago pearls. Much like how we used to dip our rubber duckies in a bubble bath! While plain in comparison to the Nasi Lemak, the Rubber Ducky is addictively refreshing, with the different citrusy notes coming together and the sago pearls adding a satisfying pop. 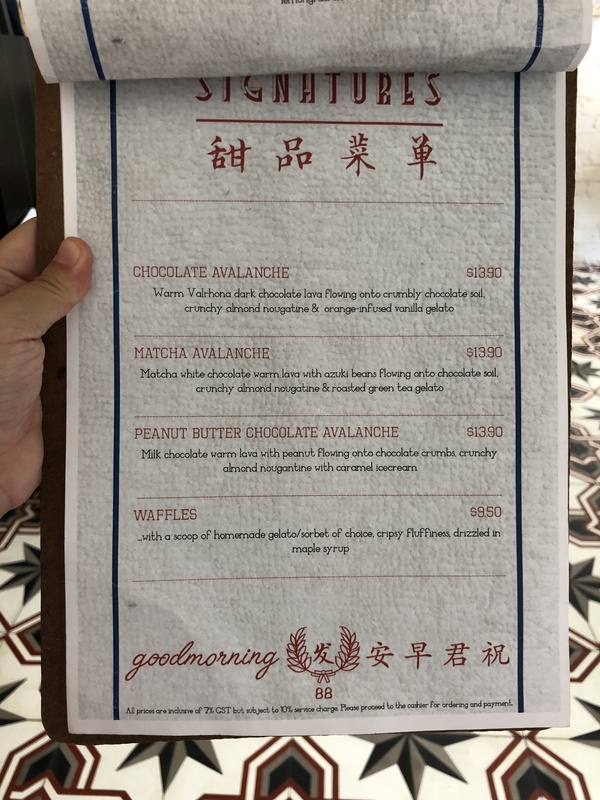 Non Entrée Desserts also caters to traditionalists with a signature desserts menu comprising waffles and “avalanches”. The latter of which is a beautifully decorated scoop of ice cream with a soufflé cake sitting on the edge of the dessert bowl. Cut into the soufflé and enjoy the sight of piping hot soufflé sauce dripping onto the ice cream! Everything at Non Entrée Desserts is made with care, and I’ve not been disappointed once in all my visits to this quirky cafe. Can’t wait to see what other creations they come up with next! 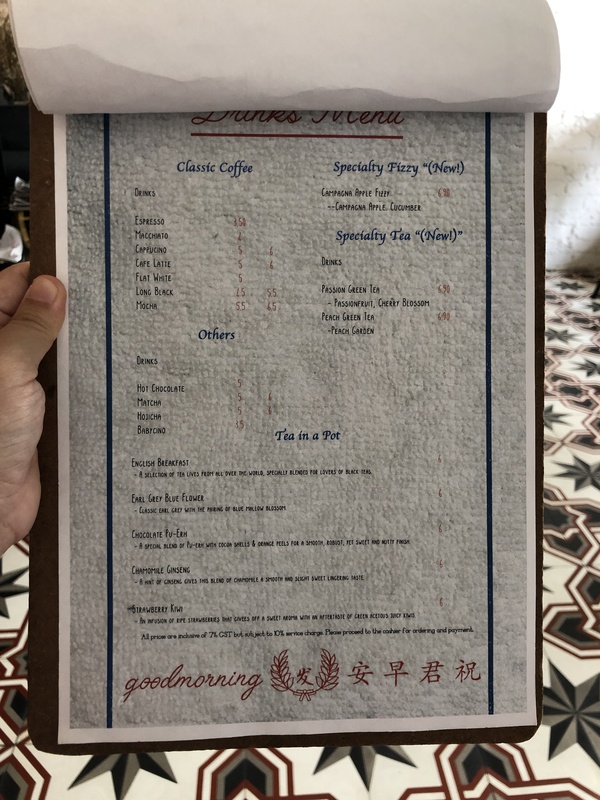 If you’re in Singapore and big on desserts, definitely make time to stop by.